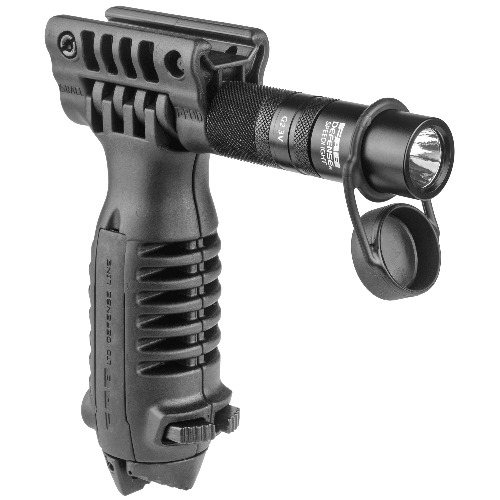 Comes with a built-in 100 lumen tactical weapon light, combines three essential accessories in one compact, lightweight unit. Integrating the foregrip, bipod, and weapon light streamlines your weapon and saves valuable rail space. 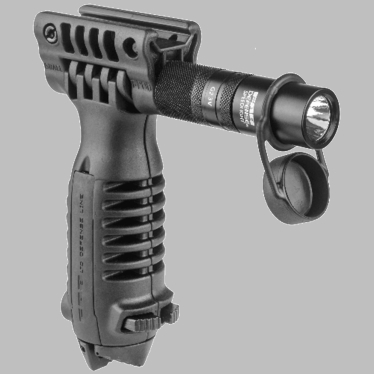 Integrates a foregrip, bipod, and button-activated light mount for any 1" light with a tailcap switch. Mounts with quick release button or additional locking screw.